I would like to wish Elaine Walsh a big Congratulations on the inaugural CookBook Club last night with celebrity chef Paul Flynn, of the Tannery Restaurant Dungarvan. It was a wonderful evening, everyone was welcomed personally by Elaine to Town Bar and Grill, the food was fantastic and the atmosphere was buzzing. Elaine had a quick question & answers session with Paul, then we all enjoyed our 3 course meal & complimentary glass of wine. Paul has won numerous awards including Chef of the Year, Best Restaurant & Cookery school of the year. Paul has also written two cookbooks, The Tannery, An adventure with food his first book which has been reprinted, and Second Helpings. The recipes which Paul choose to cook for the CookBook Club were from his first book and a fantastic choice for the stormy, wet evening, with wonderful hearty food. 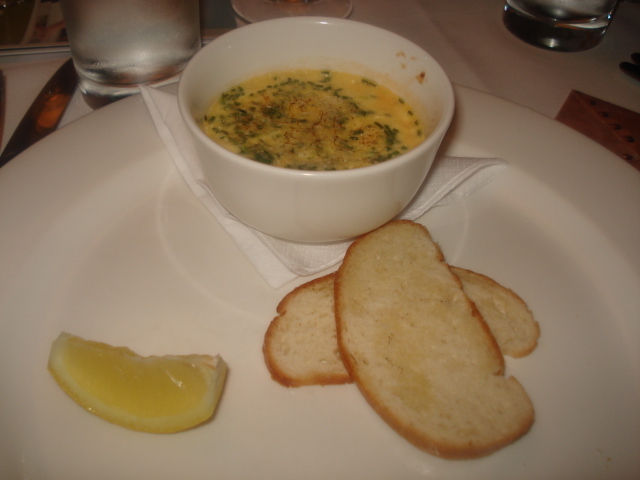 Starters: Cream of Turnip, saffron & almond soup, Crab Creme Brulee and Terrine of ham hock with prunes, sage & onion. 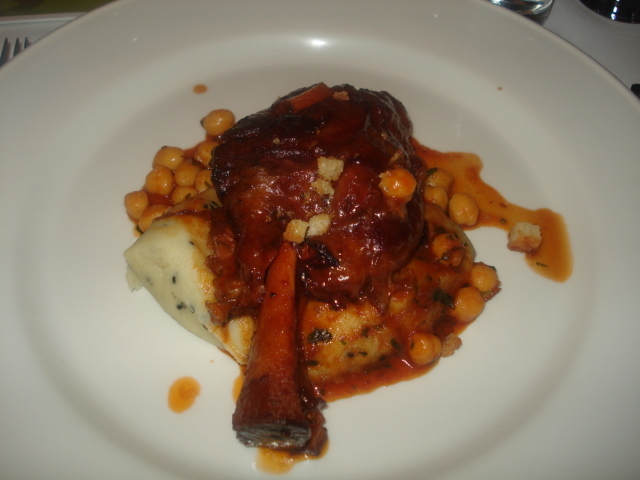 Braised Lamb Shank with cumin, chickpeas & dates, this was wonderfully cooked & melt in the mouth, it feel completely off the bone, the flavour of the cumin was fantastic, definitely one I will be cooking to impress guests at my next dinner party!! 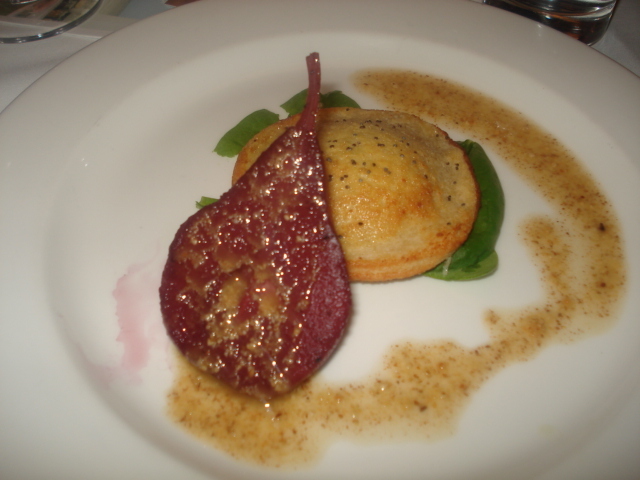 Poached Pear with croustade of crozier, wonderful combination the sweet & savoury -yummy.. It was a wonderful evening and definitely an event that no foodie should miss! Next month is Catherine Fulvio, Ballyknocken House.